How to Pack a Day Bag for Fun in the Sun - Crafty Mama in ME! Do you love summer? I definitely do! I live in Maine where you have to treasure the few days that summer really graces us with its presence. While the kids are out of school we spend a lot of time outside, be it at the pool or out exploring our local area. I’ve decided that this summer I will have a day bag that I take whenever we head out and have found a few items that are key to being prepared on the go. 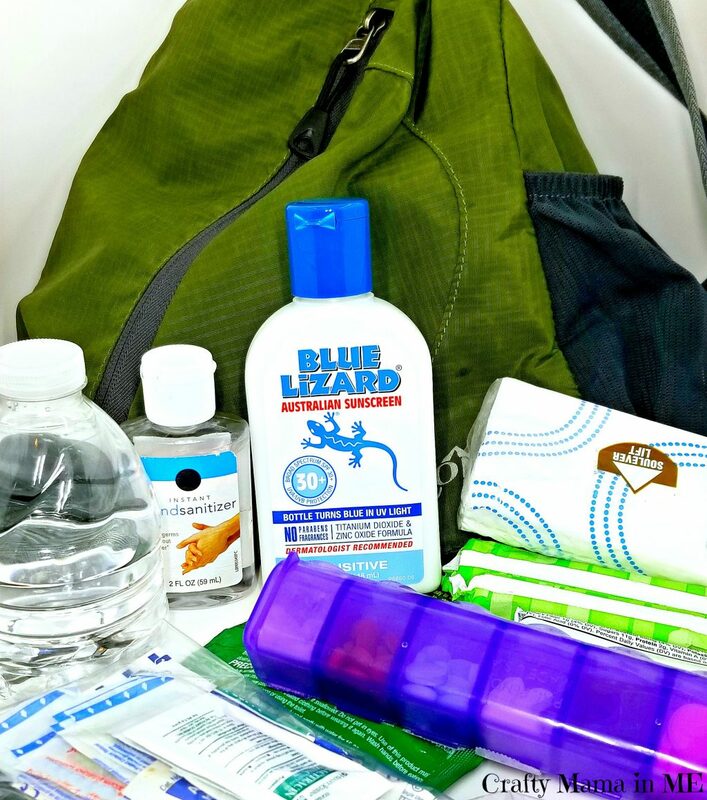 Read on to find out How to Pack a Day Bag for Fun in the Sun! Heading out the door before kids used to be so simple – now factor in the time to get myself ready, the time to make sure the kids get ready and the time to gather up everything we might need when we are out and I’m tired before we leave the house! As the kids are getting older this is starting to get easier but rounding everyone up and getting out the door on time has definitely turned into a challenge for us. Having my Day Bag ready will help so I don’t spend so much time on a daily basis getting ready to head out. Medications (in a daily pill box organizer – see an awesome tutorial on how to make one here). Check out the travel size products at Walmart for a lot of items mentioned above. If you would prefer and already have the items at home you could just take them from a bigger package and put them in snack size zippered bags for DIY travel size portions. For me most of these items are simple to purchase – no thought required. But to spend the day outside with the kids I have to think about sunscreen and for us that isn’t the easiest. Since my sons birth my body has changed, I’ve become allergic to certain medications, had uncontrollable hives and even started to to be allergic to almost every sunscreen out there. And surprise, surprise my son has the same problems (minus being allergic to medications). I have super sensitive skin but my son takes it a step further and has eczema that is easily irritated by just about everything. He needs special body wash, lotion, and you guessed it…sunscreen. We had one brand of sunscreen we had used since he was a baby that we used without problems…until this year. 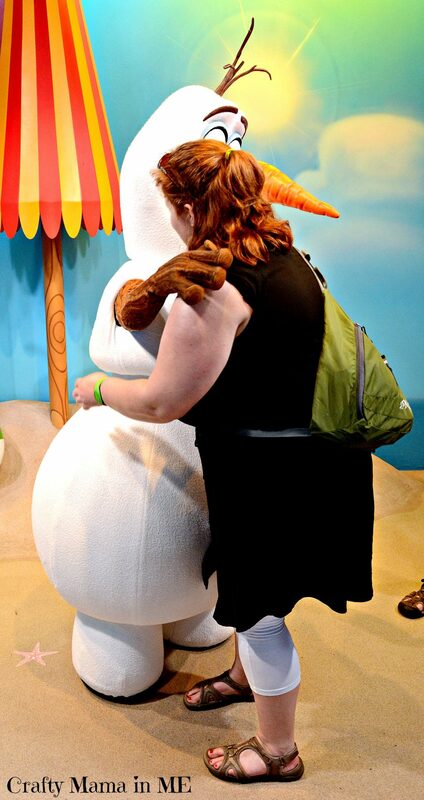 We were on vacation in Florida and guess what…he broke out anyways and guess what so did I! Like the old saying – misery loves company – and we both were itchy and miserable. I should have stock in allergy medication for how often we take them in our house (and guess what we carry both children and adult in our medication box). Luckily my daughter and my husband don’t have any skin issues so they can use whatever sunscreen we have on hand. 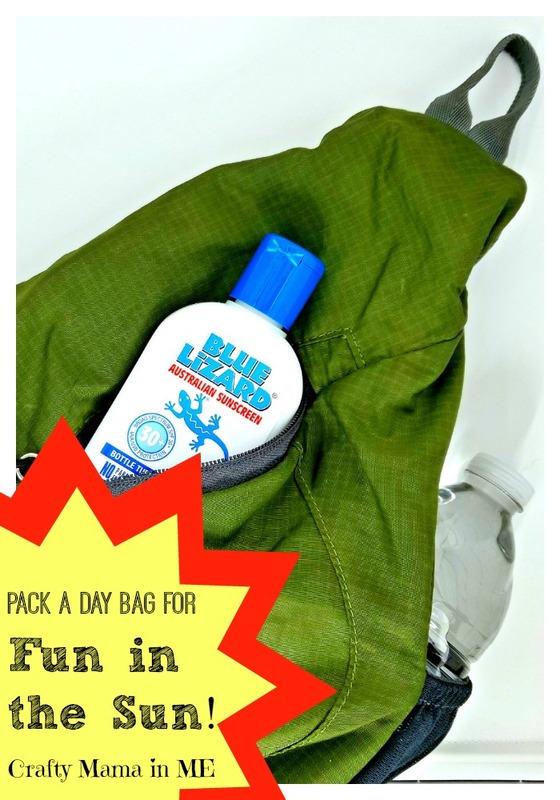 In the past we would have three kinds of sunscreen that we always had with us but now we have found Blue Lizard® Australian Sunscreen Sensitive and we use it on everyone and keep the whole family safe from the sun! When I was in Walmart after our recent trip to Florida I found the big sunscreen display and set myself to the challenge of finding a new sunscreen that would provide protection and be sensitive enough that my son and I could use it. Over the years I have struggled finding a sunscreen that is paraben-free, chemical-free, and fragrence-free and was excited to see that Blue Lizard® Australian Sunscreen Sensitive was. I also was interested to see the Patented Smart Bottle™ technology – the bottle changes color when exposed to harmful UV sunlight which can help serve as a reminder to reapply your sunscreen. Blue Lizard® Australian Sunscreen Sensitive is dermatologist recommended and was created in Australia where the sunscreen standards are the strictest in the world! The Blue Lizard® products all have a unique zinc oxide formulation and provide broad spectrum UVA/UVB protection. If Blue Lizard® Australian Sunscreen Sensitive sounds like a good fit for you take a peek at this amazing Ibotta offer! Join iBotta and earn $4.00 when you purchase Blue Lizard® Australian Sunscreen – Sensitive, 5 oz. bottle only. I am excited to find a brand of sunscreen that I can add to my Day Bag for Fun in the Sun that works for the whole family! The big key to having your Day Bag ready at all times will be to restock it as you use items so it is always ready to go. When you get home from a fun day out make sure you take a minute or two to replenish your supplies and you will ready for your next day! From a day out at home or a full day in a theme park – your Day Bag for Fun in the Sun will make being organized and ready for the day so much easier! 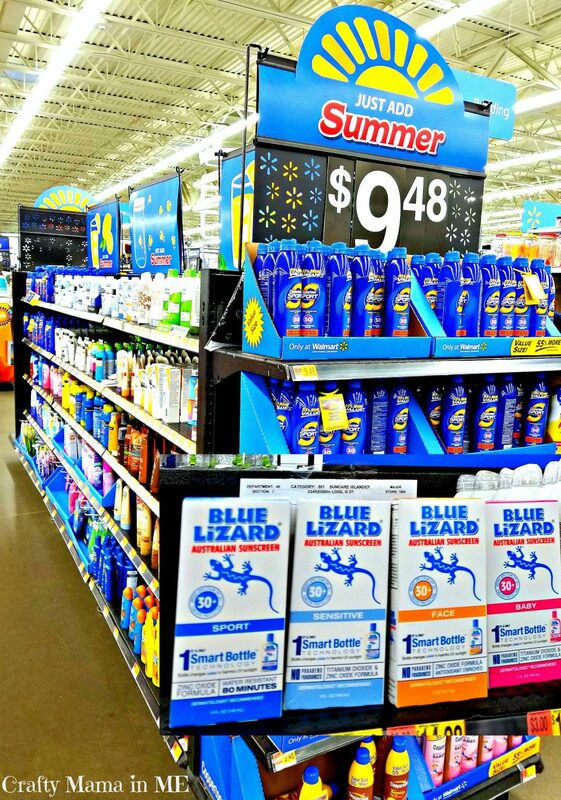 Head over to your local Walmart to restock your Blue Lizard® Australian Sunscreen Sensitive today and don’t forget to use the awesome Ibotta offer!